A personal finance guide for women of colour: ‘miscellaneous expenses’. 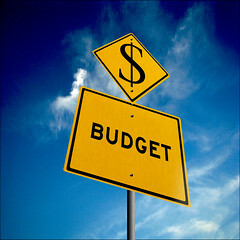 The importance of developing a personal budget cannot be over emphasized. However, it is often the issue of sticking with budgets that overwhelm most people. Planning and executing budgets are even more challenging in environments where cultural ties are strong and the extended family system exists. The beauty of the extended family system cannot be argued, but if the associated responsibilities are not managed properly, the result may be high stress levels, breakdown of relationships, high debt loads and the ‘Iroko Tree’ syndromes and/or the ‘Stolen Luck’ syndromes, just to mention a few. (Refer to this post for more insights on the ‘Iroko Tree’ and ‘Stolen Luck’ syndromes). A critical factor that makes sticking with personal budgets difficult is the state of the economy; stagnant growth, high unemployment rates and a ‘middle-class’ that is in fact the ‘working poor’. For women of colour, (living in their home countries and in the Diaspora), the topic of personal budgeting should be addressed in a holistic way. They are often catering to multiple interests and carrying varied responsibilities, sometimes as ‘co-bread winners’ for their parents, siblings, cousins, nephews and other members of their kith and kin. It is not strange to find one person responsible for the tuition fees, medical bills and rent of other people in her extended families, besides her primary responsibilities to her nuclear family. It is no wonder that this topic resonates deeply with many. In individual conversations and group coaching sessions among women across different cultures Caribbean, African, Persian, European, Latin American and so forth, miscellaneous expenses associated with extended family members, remains a huge obstacle to achieving balance with personal budgets. Track your miscellaneous expenses over a few months and then track gradually over a year. Categorize them: What are you spending most on-Burials/Birthdays/Weddings/’Aso-ebi’/Gifts/School fees/Personal loans/Social events/Medical Expense/Daily living? Try sticking with your budget for at least one month, and if any extra expenditure arises, you roll them over to the next month. At the end of each month, check for variations between your estimates and actual spending. Re-Prioritize: How important are these things to you? What can you forfeit, what adds value, what is essential and what is non-essential? Make a list of who the recipients are. Prioritize your recipient list. High up on your list may be your parents, siblings, mentors and those who sowed positive seeds in your lives. You may add them to your monthly fixed expense, depending on your situation. There are people on your list who should be weeded off that list or educated on money matters before adding them back on. (Someone in the Diaspora gave an example of a cousin, a university undergraduate, who had asked for financial assistance to buy some back-to-school materials. From her part-time earnings, she sent her a few hundred dollars, only for her cousin to rudely inform her that the money was not enough to buy her MAC line of cosmetics, much less her designer line of tee-shirts. And she was even admonished by this said cousin for not taking up over-time hours like her other nursing colleagues! Compare this to someone who needs financial aid for a medical condition or to pay tuition fees. The difference is as clear as crystal). Study and analyze the seasonality of requests and activities, when are the highs and lows: Holidays/Beginnings of school term or semester/Particular time(s) during the year? Adjust your budget accordingly to align your cash-flow with these timelines. Be clear on the difference between a loan and a gift to people, especially to family members. Avoid loans to family members/friends unless you truly trust them and/or from the onset, you are ready to write-off the amount. This helps you in two ways: i). it helps to preserve the relationship should they default. Ii). it eliminates the cash-flow flow problems that may arise for you if the loans are not paid back. People need a hand-up and not a hand-out, know the difference! Consider giving certain people bulk sum of money to either start a business/go to school/learn a skill, so they become truly independent rather than encouraging and enabling them to become perennial beggars. A one-sided relationship often ends badly with a lot of resentment because every human being has an innate need for self-actualization and self-mastery. If #.13 above is a challenge to undertake alone, consider pooling resources together with other friends/colleagues/family members, in order to achieve these worthwhile goals. You may also consider collective giving i.e. something that serves a group or community rather than individuals, such as setting up cottage industries, micro-loan programs, building or renovating schools, health care and skill acquisition centres. Hold yourself and others accountable so you may create the right balance for your overall well-being. Also, remember to put yourself on the list! It is great to learn new ideas everyday. Managing family expenses is a challenge not to mention the “miscellaneous expenses” also. Thanks for sharing an informative and excellent content.